As a WA local who’s had endless adventures and road trips throughout this amazing state, I thought I’d compile a list of my favourite spots to share with you all. I’m very proud of my home, one of the most remote and largest states in the entire world – and hope that these ten unique places will make you fall (even more) in love with Western Australia. Only a 2.5 hour drive from Perth, this area is famous for its quality wine, beer and gourmet produce. The region, including Dunsborough, Yallingup, Margaret River, Cowaramup and Hamelin Bay also boasts some of the most stunning scenery including pristine beaches, lush Karri forrests, grape vines as far as the eye can see, immense limestone caves and kangaroo dotted rolling fields. Apart from visiting the many wineries and breweries to taste amazing wines, beers and ciders; there are countless cheese and chocolate factories, beauty producers, art galleries, surfing hotspots, families friendly activities, restaurants and local festivals to explore all year around. For more ideas on some lesser known things to do in the region see our post top 10 sober experiences in the Margaret River Wine Region. 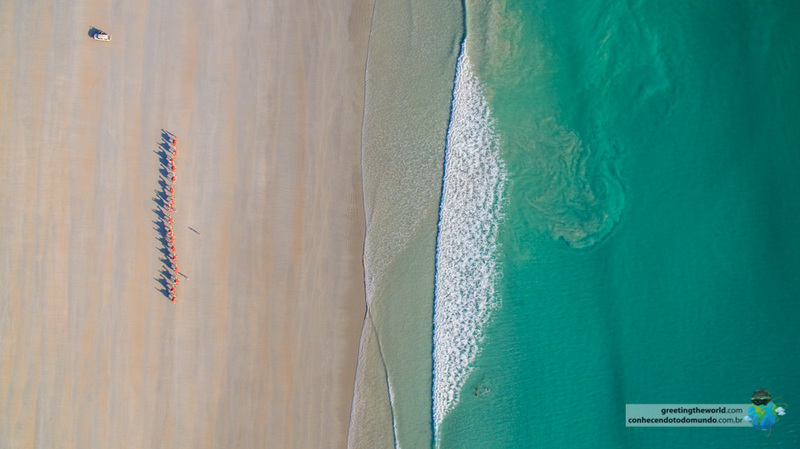 Broome is a surprise paradise in the far north east of Western Australia. Its red earth, lush vegetation and incredibly blue oceans contrast against each other to create a stunning landscape of intense primary colours. There you’ll find fossilised dinosaur footprints, the stunning Cable Beach (WA’s northern-most crocodile free shoreline), a multicultural pearling history, asian flavoured beers at Matso’s Brewery, and the world’s oldest functioning outdoor Cinema. 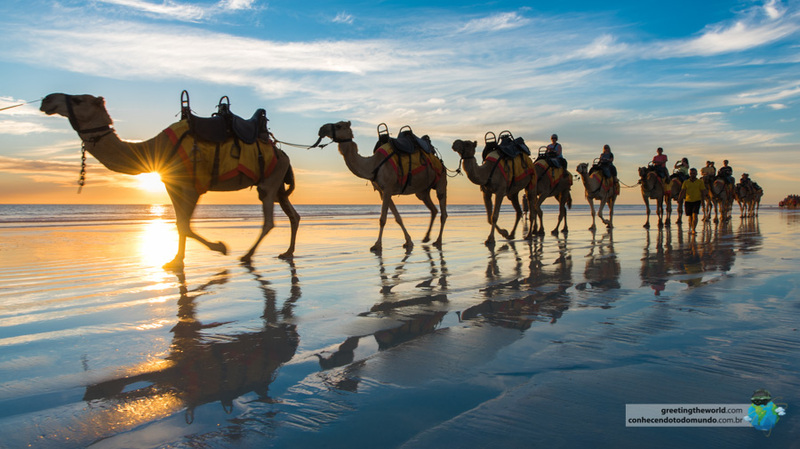 For the best of what Broome has to offer read our article six reasons we love Broome so much. Karijini is my favourite national park in the whole of WA. With its intensely red, sheer cliff faces and cool aquamarine pools and waterfalls, Karijini’s many varying gorges literally take your breathe away. Its worth spending a good two to three days enjoying the many walking trails and natural beauties of this untouched wilderness. Camping and rooms are available within the park and serve as the perfect base to adventure through the almost Jurassic Park/Disneyland-like gorges. To work out which gorges and walking trails suit you the best, read our post making the most of Karijini. I grew up holidaying on Rottnest Island in my grandad’s yacht, but anyone can take a 30 minutes ferry ride from Perth to this aquatic wonderland and enjoy its laid-back atmosphere. Rottnest is famous for its white sandy beaches, good fishing, cute quoakkas (tiny teddy bear-like mammals), colourful snorkelling, Aboriginal history and bike riding. With no cars permitted on the entire Island transport is limited to walking, taking the local bus or exploring by bicycle (take your own on the ferry or you can hire a bike when you get there). Take a couple of days to get to know the island and spend a night or two at the camp ground or in one of the famous beach-shacks. Remember to book in advance as the beach shacks are popular weekend escapes for Perth locals. This eclectic port city is Lonely Planet’s number 7 place to visit in the entire world this year (2016). The town is hugged on one side by the Swan River and on the other by the crystalline waters of the Indian Ocean. Many artists, musicians and alternative characters call ‘Freo’ home and bring an incredible vibe to the town – street performers and busker’s play on every corner and the local Street Arts Festival is famous Australia wide. Other attractions include the historic Round House building, Little Creatures Brewery, the Maritime Museum, Fishing Boat Harbour and the incredible Fremantle Markets that open Fri, Sat, Sun and public holidays selling everything from fresh fruit and vegetable to flying boomerangs, local skin-care products, kangaroo sausages and everything in between. 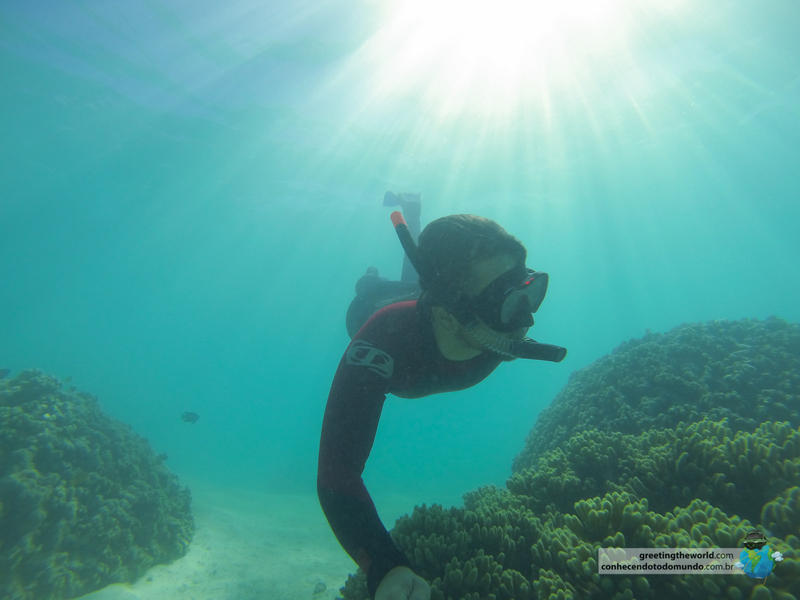 The Ningaloo Reef runs 260kms along WA’s mid-west coast. The reef boasts stunning displays of stag coral, colourful sponges and an amazing variety of sea creatures – all extremely close to the shore! Unlike Queensland’s Great Barrier Reef, you can easily swim to the Ningaloo Reef from any beach between Exmouth and south of Coral Bay. Jump into the clear, blue waters of Turquoise Bay, the Oyster Stacks or Lefroy Bay to be taken to a colourful wonderland where reef sharks, turtles, dugongs and bright fish flitter amongst massive banks of coral. Jump on a boat to do some deep-sea fishing or swim with the enormous whale sharks that also call Ningaloo home. These friendly giants of the ocean can grow larger than 12m in length, and as long as you don’t get too close, will allow you to swim beside them for hours. 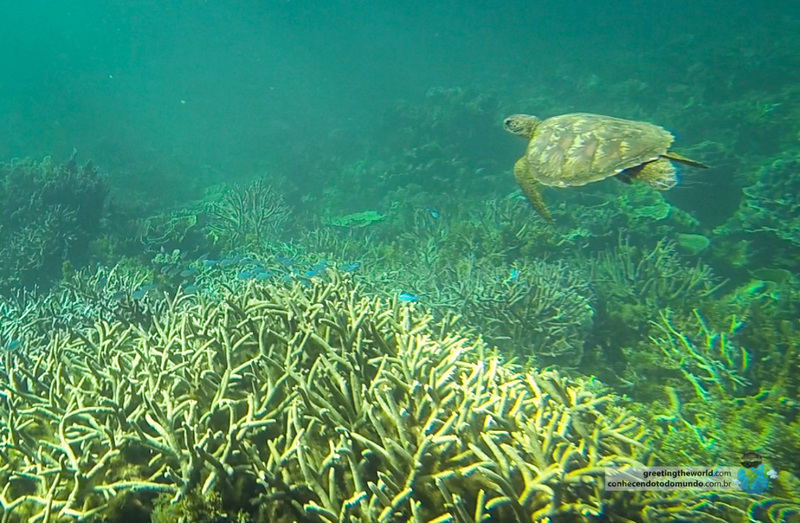 For some of Ningaloo’s best snorkelling spots read up close and personal with wild turtles at Ningaloo Reef. The Great Southern Region of WA boasts some of Australia most beautiful deserted beaches, rugged granite coastline and lush Karri tree forests. Albany’s ‘The Gap’ and adjacent natural bridge are impressive examples of the areas black granite and rocky cliffs, while the Valley of the Giants (between Walpole and Denmark) Tree Top Walk offers you an incredible view of the massive Karri trees while suspended in the air. If you’re in the area don’t forget to visit the incredible beaches at Green’s Pool/Elephant Rocks in Denmark and Goode Beach/Frenchman’s Bay in Albany. Just beside Frenchman’s Bay you’ll also find the popular Discovery Bay, a historic whaling station with botanic gardens, Australian wildlife and a whaling museum. Unlike the name, Monkey Mia is actually world famous for its dolphins! Every morning you’ll see dolphins visiting the shoreline to interact with tourists and steal a fish or two. Other attractions in the area include Shell Beach, the famous Steep Point 4×4 track that will take you to the Western most point of Australia, stromatolite rocks formed by live single-celled microbes and the Francois Peron National Park. Without doubt Esperance has WA’s most beautiful beaches (they’re often voted among the best in the world). Make sure you visit in summer however, as the water can get so cold in winter you’ll lose the feeling in your extremities! A visit to Lucky Bay is a must, where you’ll see kangaroos chilling on the sand and fisherman catching saltwater salmon in Autumn. Cape Arid National Park is a little further east of Esperance but definitely worth this visit for those that love four wheel driving, camping and fishing. From Broome to Kununurra in WA’s far north, the Kimberley is an untouched wilderness of vast flood plains, verdant tropical oases and impressive multicoloured rocky ranges. The area is a wildlife lovers dream with hundred of species of exotics birds, dingos, crocodiles and lizards calling the Kimberley their home. The best way to see the area is to drive 600kms off-road along the famous Gibb River Road. It’ll take you past plains of fat Boab trees, through croc-infested water crossings and to some of the most impressive waterfalls and billabongs you’ll see in the whole of Australia. A four wheel drive vehicle, tent and mosquito repellant are a must for this journey – but the places you’ll see will leave you speechless and feeling like you’ve experiences the REAL Australia. Previous article30 days on the road – how much does it cost?